The Hearts are a unique vintage-style covers band based in South Wales. 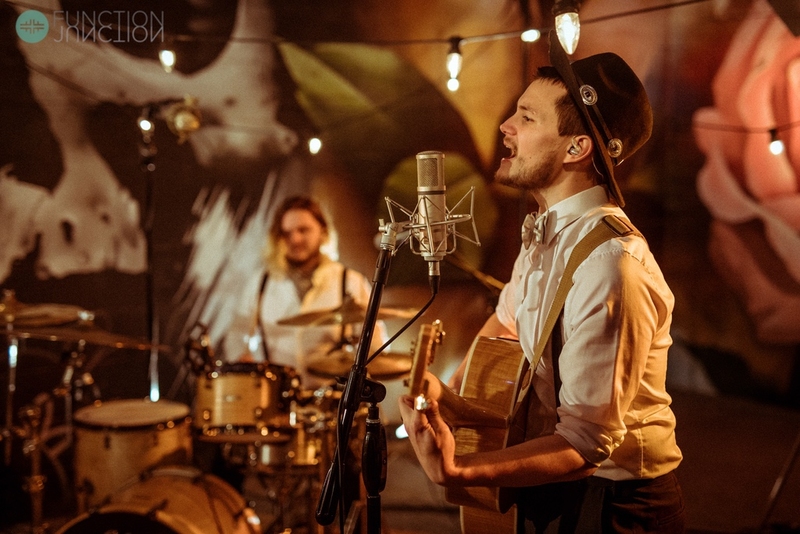 They offer you a uniquely versatile entertainment package, performing both vintage Mumford & Sons style festival set for the beginning of your evening and an epic uptempo party set to finish off your night with a bang. The perfect balance for your big day. Boasting both male & female lead vocals, their heavenly harmonies, and cool festival vibes will create a foot stomping, barnstorming extravaganza on the dance floor. 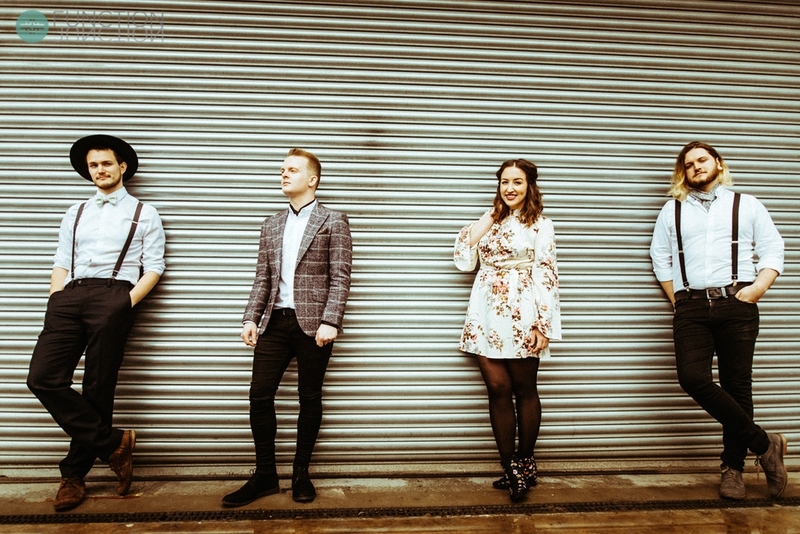 Their vintage style folk set features major hits from the likes of Mumford & Sons, Paolo Nutini, Lumineers, George Ezra & James Bay. They also perform quirky acoustic versions of popular classics from artists including Beyoncè & Avicci. Their energetic electric set includes ultimate dance floor fillers from every decade from the likes of The Killers, Kings Of Leon,Tina Turner, Proclaimers, Reef, Bruno Mars & many more. 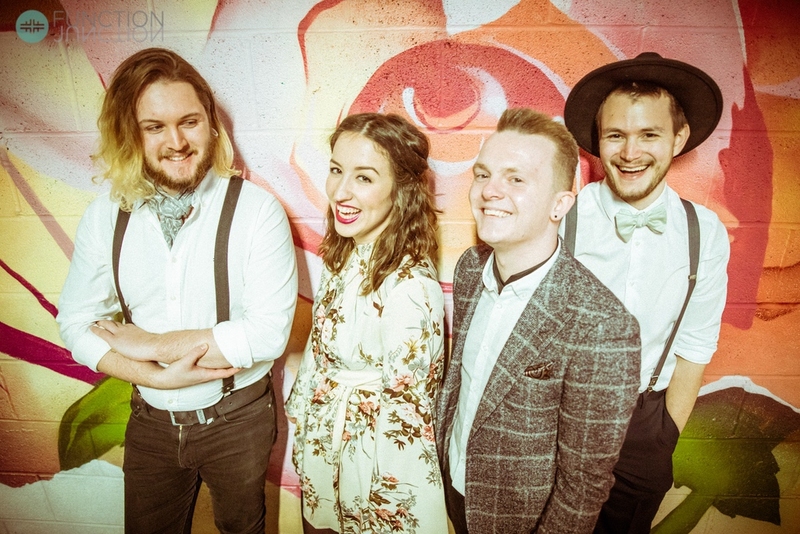 If you are thinking of having a vintage or festival themed wedding The Hearts are the perfect band for you. 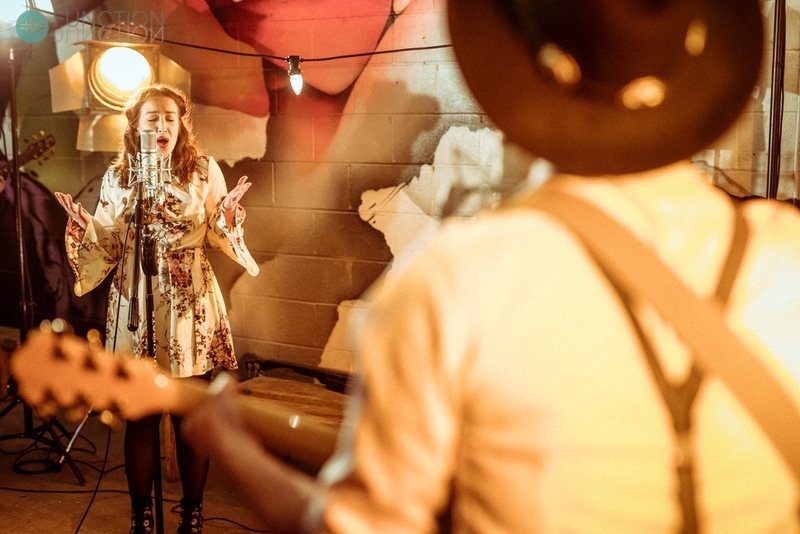 Their eclectic music and distinctive style will give you and your guests a night to remember forever. 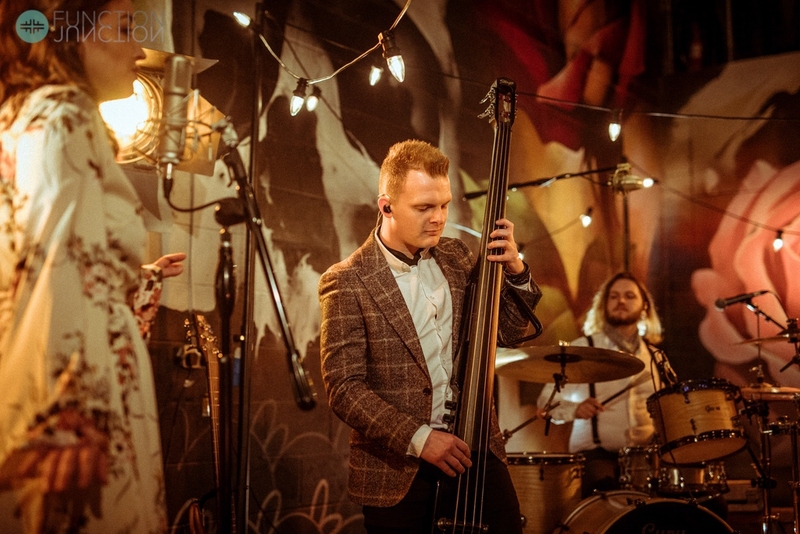 Book this brilliant Mumford & Sons style, Vintage, Festival party band for your wedding today! We searched long and hard to find a band that suited our wedding. The search was worth it we were so happy with The Hearts. The guys are all lovely and super talented! Their voices were brilliant the musicians were great and their outfits looked really cool! They suited our night perfectly. All our guest have been asking where we found them, and I am sure more bookings will come from it. We would highly recommend them. Wow… we were utterly blown away with The Hearts. Thank you so much for an amazing performance, your version of our first dance is something I will remember forever. You added extra magic to our wedding reception and we loved every minute. Hope to catch you again soon. Thank you for being awesome!! Sorry for the delay in writing this, we have been in a post wedding bubble! We just wanted to say thank you so much for being absolutely brilliant at our wedding. We couldn't have asked for more.